You wait in a long line, remove your shoes, put your laptop in a separate container, go through the scanner, maybe get a pat down. And it's all terrible. But no matter how annoying the TSA is, it's keeping you safe, right!? Well, maybe not. The New York Times reports the TSA is under investigation by the House Oversight Committee for incompetence in actually keeping people safe. In other words, it had one job and it's not doing it. Even worse, the HOC is looking into claims that employees who blew the whistle on security failures were subsequently mistreated, while supervisors who brushed aside these reports were awarded raises. The bonuses do sound extra fishy, given that the TSA failed 95% of its security tests in an audit last year. And, well, scoring a 5% on a test probably doesn't really work anywhere for any reason. The TSA has till March 4 to provide justification for its actions. Though The New York Times details multiple failures in its write-up, the investigation was called for based on documents from assistant federal security director Andrew Rhoades, who claims he was reassigned as a direct result of reporting security flaws within the agency. For instance, Rhoades reported that bags were missing security tags, making it difficult to know which bags had been screened. Good thing we're paying those guys! In response to the allegations, the TSA provided a statement saying, "TSA takes any allegations of improper conduct seriously and is committed to transparency and accountability." Great. Thanks, TSA. It'd be awful weird if you said you took them as a joke and didn't plan to be held accountable. 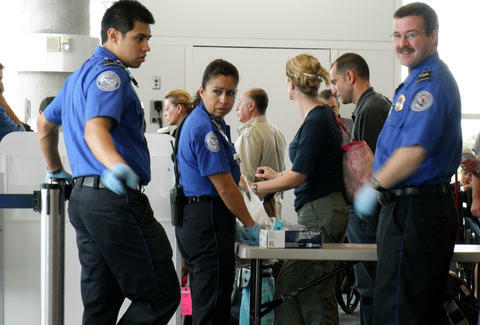 It's sad, because if you can't trust the TSA, who can you trust? Just kidding. No one's ever trusted the TSA, anyway. Kara King is a News Writer at Thrillist and hates taking off her shoes. Send news tips to news@thrillist.com and follow her at @karatillie.